Michael is a 3rd year Rural Stream student placed in Cooma. He is thoroughly enjoying the hands on work in ED and anaesthetics after slogging through 2 years of pre-clinical study. A 76 year old man with metastatic liver cancer lies feebly in his hospital bed surrounded by family. He’s in cardiac and respiratory failure. Attached to him are multiple lines, cannulas and monitors. There are more machines present than people. Despite this, his breathing is laboured, he’s gaunt, and he is clearly suffering. In a rare moment of lucidity, he gestures for his son to come closer and whispers: “No more.” An obviously grief stricken man turns to the rest of the family, gestures, and heads outside to make one of the most difficult decisions he will ever make. How do I know this? Because I was that fifteen year old boy. It was all too much back then for a teenage boy, but now ten years down the line, is it still too much for a medical student? After all, what can we as mere fledgling trainees do to help ease those heavy burdens? Reflecting on these experiences helps address the powerlessness we experience in these morally and ethically challenging cases and serves as a reminder to everyone that even as mere ‘students’, we are capable of playing a vital therapeutic role in the care of patients whose treatments have been deemed futile. Looking back at that period of time now, it is difficult to justify the last few weeks of futile treatment that my grandfather received. This choice is difficult enough for clinicians with years of health-care experience, let alone medically untrained families under stress, grieving for the imminent loss of a loved one. This highlights the higher expectations that the general public may have of what the health care system should achieve,  which can lead to points of contention and miscommunication when it comes to making critical care decisions. The role of the medical student in these cases is often as a moderator; to listen, discuss and bridge the gap of communication between the two understandably apprehensive parties. The feeling of helplessness was overwhelming, none of the doctors paid me any attention; I was just a child after all, not worthy of their attention or time. But he was my grandfather, not just their patient. The concept of ‘therapeutic use of self’ is the use of oneself as a therapeutic agent by integrating and empathising with the patient and their family. This can be to alleviate fear or anxiety, provide reassurance and obtain or provide necessary information in an attempt to relieve suffering. This is particularly relevant in circumstances where treatments have a limited effect on the disease process, where suffering is prolonged rather than prevented. Similarly, individual variations exist between physicians, because although each will use the most current evidence available to decide plans for the best outcome, each person is influenced by their own ethical, social, moral and religious views. This perhaps, is the reason why the modern curriculum has incorporated elements of personal reflection, professionalism and social foundations of medicine to guide students into thinking more reflectively and sensitively, allowing for a more holistic patient-centered approach. “He’s not going to get better,” I was told, “The doctors said we should stop the treatments because all they’re doing is causing him to suffer.” Even I could understand that decision when it was justified to me like that. Unfortunately others don’t necessarily see it that way. Would I have done anything differently if I had the maturity and the training that I have now? Medical students in general feel that completing a full history and examination is the extent of what they can offer to patients;  however, this is often not the case. Their support and knowledge base is invaluable to patients and their family. Students play a vital therapeutic role in assisting the patient and family to come to terms with the limitations of modern medicine, and to recognise that extension of the dying process undermines what both the medical team and the family ultimately want – a dignified and peaceful death. It is easy to objectively look at a patient with whom we’ve had no past relationship and decide what the right choice is. But for families, it will never be that straight forward when a decision has to be made about a loved one. During these times, as medical students, we need more than the ability to communicate effectively, we need the mental fortitude to be able to step into that dark and difficult place with the patient and their family to truly connect, and be there for them not only with our book smarts, but as figures of support and strength. As he requested, treatment was withdrawn and palliative care started, the 76 year old grandfather, father, and husband returned home and passed away in a dignified and peaceful way surrounded by family. The author would like to thank his grandfather who gave him the world by teaching him to how to learn. The author would also like to acknowledge the fantastic feedback provided by both reviewers which allowed him to gain a greater understanding into this fascinating topic. Slomka J. The negotiation of death: clinical decision making at the end of life. Soc Sci Med. 1992; 35(3): 251-9. Kasman DL. When is medical treatment futile? A guide for students, residents, and physicians. J Gen Intern Med. 2004; 19(10): 1053-6. Reynolds S, Cooper AB, McKneally M. Withdrawing life-sustaining treatment: ethical considerations. Surg Clin North Am. 2007; 87(4): 919-36, viii. Howard DS, Pawlik TM. Withdrawing medically futile treatment. J Oncol Pract. 2009; 5(4): 193-5. Murphy BF. What has happened to clinical leadership in futile care discussions? 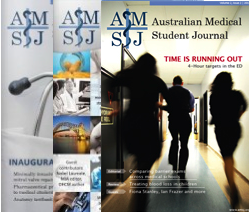 Medical Journal of Australia. 2008; 188(7): 418-9. Hardwig J. Families and futility: forestalling demands for futile treatment. J Clin Ethics. 2005; 16(4): 335-44. Beauchamp TL, Childress JF. Principles of biomedical ethics. New York: Oxford University Press; 1994. Rydvall A, Lynoe N. Withholding and withdrawing life-sustaining treatment: a comparative study of the ethical reasoning of physicians and the general public. Crit Care. 2008; 12(1): R13. Bartholomai S. Therapeutic Use of Self/Building a Therapeutic Alliance. In: Hospital I, editor. ; 2008. Kearsley JH. Therapeutic Use of Self and the Relief of Suffering. CancerForum. 2010; 34(2). Pawlik TM, Curley SA. Ethical issues in surgical palliative care: am I killing the patient by “letting him go”? Surg Clin North Am. 2005; 85(2): 273-86, vii. Iserson KV. Withholding and withdrawing medical treatment: an emergency medicine perspective. Ann Emerg Med. 1996; 28(1): 51-4. Scanlon C. Ethical concerns in end-of-life care. Am J Nurs. 2003; 103(1): 48-55; quiz 6. Seymour JE. 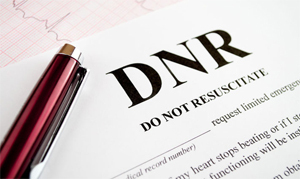 Negotiating natural death in intensive care. Soc Sci Med. 2000; 51(8): 1241-52. Foster LW, McLellan LJ. Translating Psychosocial Insight into Ethical Discussions Supportive of Families in End-of-Life Decision Making. Social Work in Helath Care. 2002; 35(3): 37-51. Frank J. Refusal: deciding to pull the tube. J Am Board Fam Med. 2010; 23(5): 671-3.